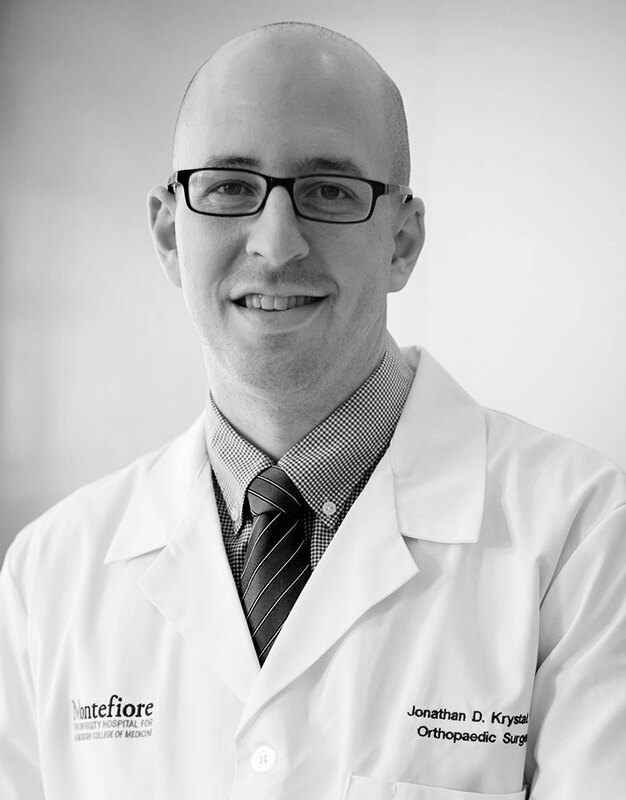 Jonathan Krystal, MD, joined the Department of Orthopedics at Children’s Hospital at Montefiore in August 2017 as a spine surgeon and attending physician. He specializes in treating diseases of the spine. Dr. Krystal earned his medical degree from University of Connecticut School of Medicine and completed a residency in orthopedics at our Albert Einstein College of Medicine. He followed that with a fellowship in spine surgery at the Rothman Institute at Jefferson University Hospitals in Philadelphia. Dr. Krystal’s research has focused on spinal diseases, particularly on the use of advanced technologies such as radiosurgery to treat them. He is a member American Academy of Orthopedic Surgeons and the American Medical Association.